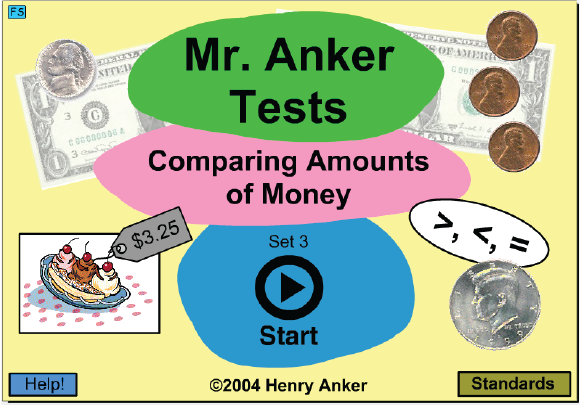 Use these practice activities to help you count amounts of money including coins and dollar biils. 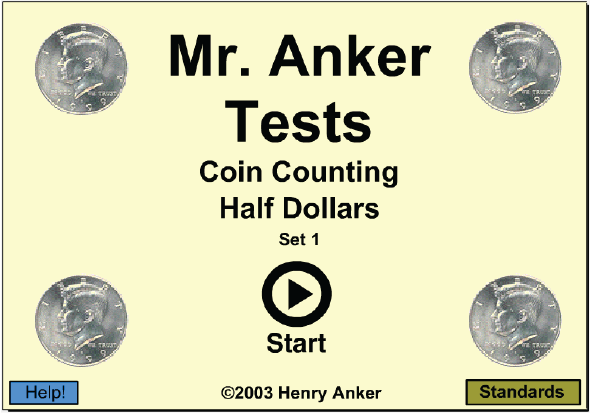 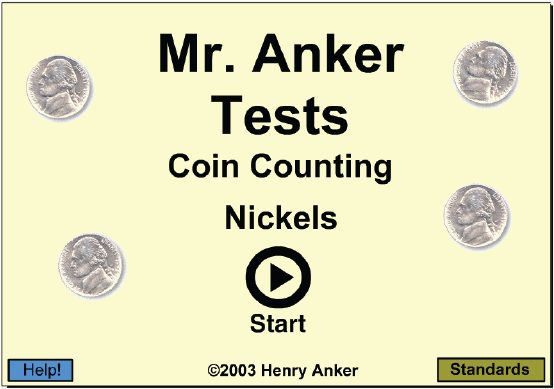 Determine money amounts with nickels and pennies only. Determine money amounts with dimes, nickels and pennies. 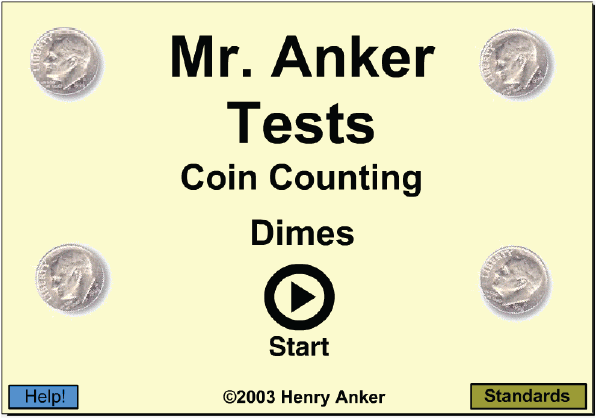 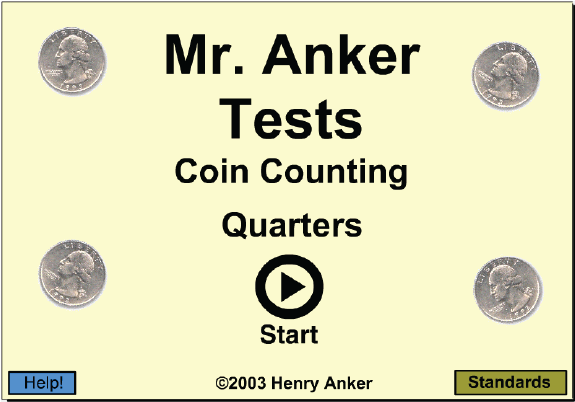 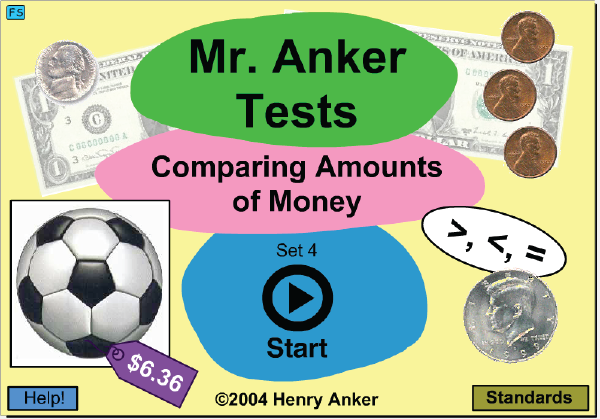 Determine money amounts with quarters, dimes, nickels and pennies. 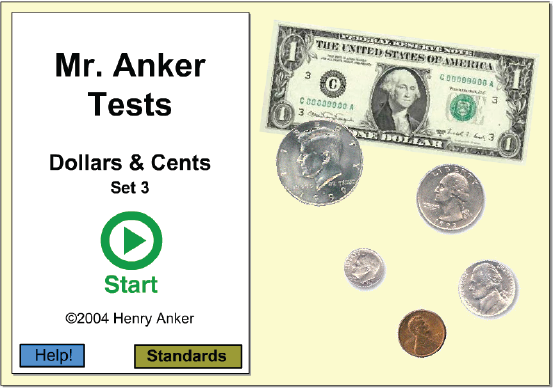 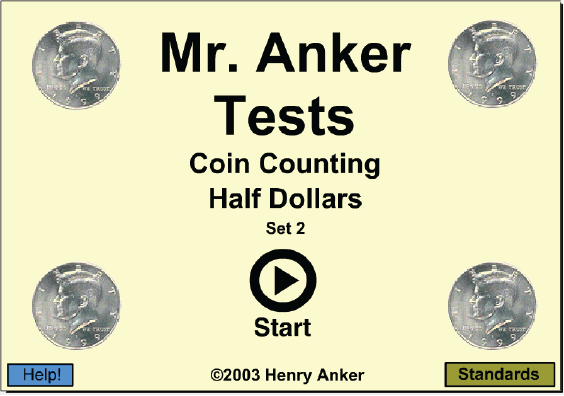 Determine money amounts with half dollars and coins. 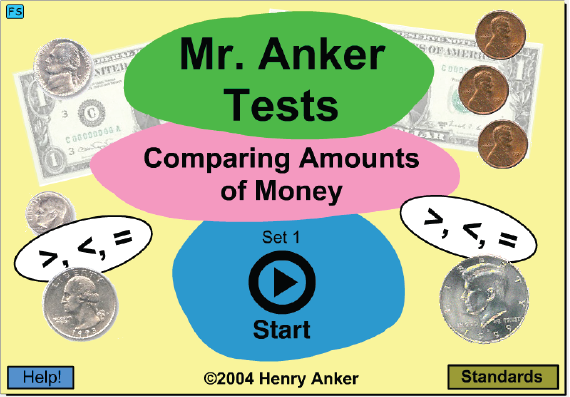 Counting dollar bills and coins together. 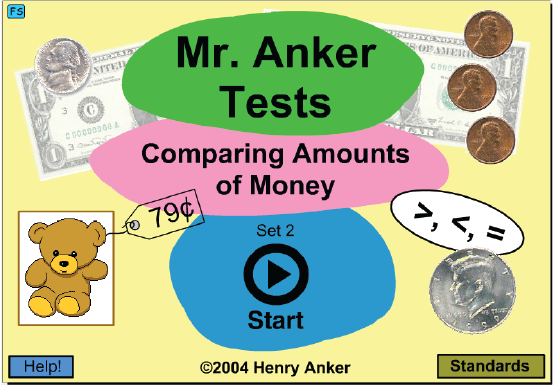 Compare amounts of money using the greater then, less than, or equal signs. 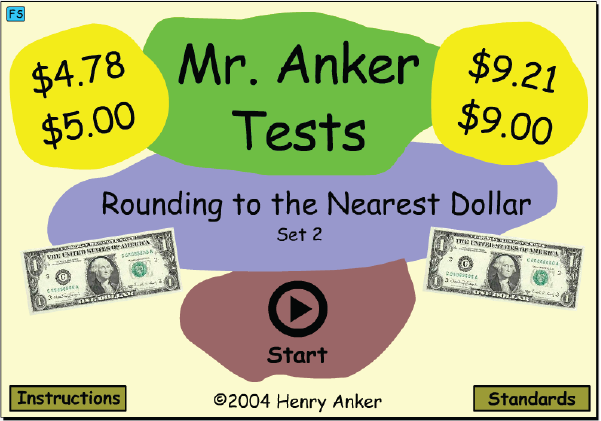 Round money amounts to the nearest dollar.